The Leicester Marathon and Half marathon was held this weekend from Victoria park. 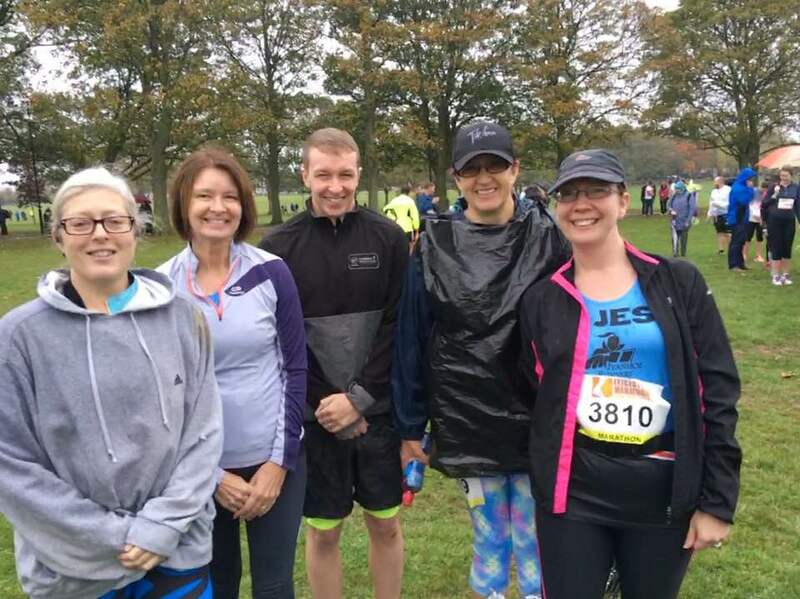 Conditions were very wet throughout the whole day, with heavy rain at times, causing many parts of the course to be waterlogged, and many runners struggled to keep warm. The route takes a northwards route along Melton road and into Thurmaston before heading back in through Watermead and Abbey parks. 9 runners ran the half marathon event, led by Patrick Horn, in a swift 1:36:00. 'Supervet' Andy Jeyes scored another first V70 by clocking 1:38:57, ahead of Richard Hope who was next over the line in 1:41:13, and Mukesh Deva who ran a strong 1:50:23. Lucy Arkinstall led a steady stream of Ivanhoe runners, in 2:11:25, then it was Jenny Hope who finished in 2:15:55. Jayne Bradshaw ran in 2:16:30, ahead of Hannah Knowles in 2:23:55. Lindsay Tilbury paced a friend round to finish in 2:28:34. A further 6 runners took on the extra challenge of the full marathon, doing an extra loop through the villages including East Goscote and Thrussington. Ian Kirk was first out of this team in a speedy 3:49:06. Emily Wideman paced Jordan Cope round on his debut marathon, helping him achieve 4:25:28, an excellent first marathon time. Sarah Malone finished in 4:42:15, then Jessica Southwart ran a brilliant debut Marathon in 5:09:08. Mandy Morris completed the team in 5:15:43, after running the metric marathon in Chester only 1 week before.